It’s been two decades since Alfredo Quiñones-Hinojosa jumped the fence at the U.S.-Mexico border and labored as a migrant farmworker in southern California. Today, he is one of the foremost neurosurgeons in the country and renowned for his cutting edge research to cure brain cancer. But how did he get to where he is? 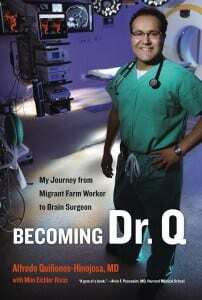 Becoming Dr. Q: My Journey from Migrant Farm Worker to Brain Surgeon, tells the story of his odyssey—from his impoverished childhood in the tiny village of Palaco, Mexico, to his harrowing border crossing and his transformation from illegal immigrant to American citizen and gifted student at the University of California at Berkeley and at Harvard Medical School. Packed with adventure and adversity—including a few terrifying brushes with death— Becoming Dr. Q is also a story about the importance of family, of mentors, and of giving people a chance. 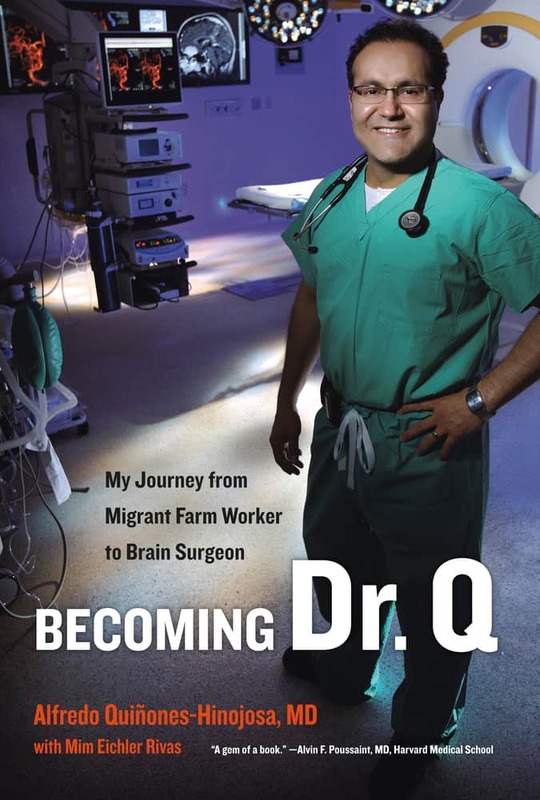 Dr. Q’s story exemplifies our human potential for success, perseverance, and compassion and provides a truly inspiring account of the importance of education and access to knowledge. This short interview with Dr. Q reveals how his upbringing and experiences prepared him for a career in medicine. Becoming Dr. Q is a perfect example of the exceptional work that is made possible through the work of the UC Press Foundation and donors from all walks of life. We hope that you will consider becoming a member to help give voice to inspiring stories like Dr. Q’s. Please join now. Through your donation, you will have access to wonderful membership opportunities including discounts on book purchases, invitations to author readings, and more. More importantly, your donation will support intellectually and culturally significant publications that make a difference.